You will watch The Simpsons Episode 102 Bart the Genius online for free episodes with high quality. 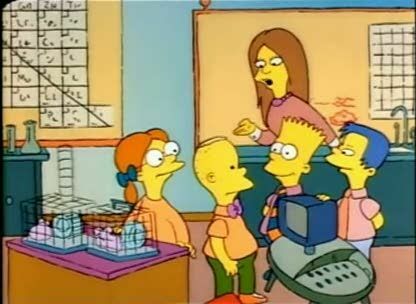 Online episode guide, The Simpsons Episode 102 Bart the Genius Bart the Genius Bart has trouble on an intelligence test and sneakily switches tests with Martin Prince, the class genius. After the results are tabulated, the school psychiatrist labels Bart a genius and sends him to the Enriched Learning Center for Gifted Children. Homer starts treating Bart with respect, but Bart immediately feels out of place among his new classmates and is alienated from his old peers. He confesses that he cheated on the test and is subsequently sent back to Springfield Elementary School.